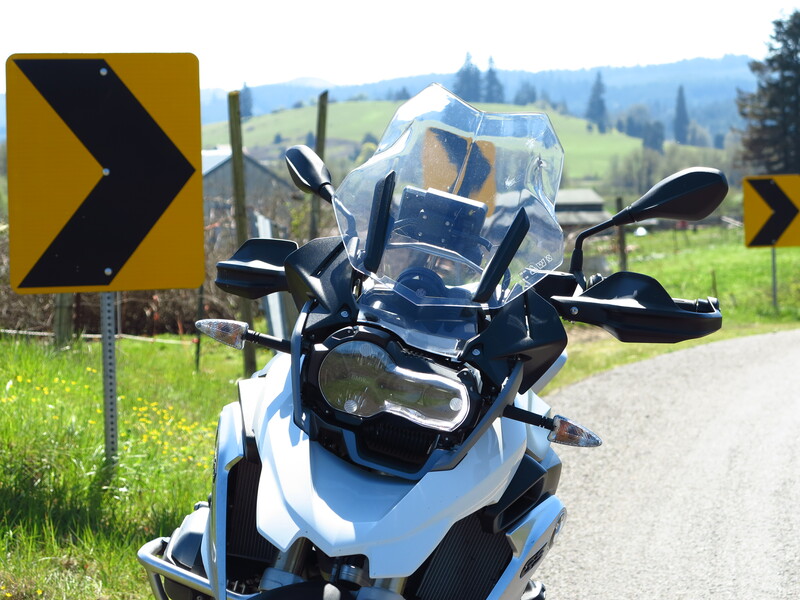 It was Saturday, it was a beautiful spring day around these parts of the world, and the European Motorcycles of Western Oregon (EMCWOR) had a 2014 BMW R1200GS demo hanging out in front of the store. I had some time to kill while my Multistrada was being worked on the shop last Saturday, no need to twist my arm… I will take the BMW out for a spin. The quality of the fit and finish remains the same with BMW motorcycles. The overall design and the ergonomics of the motorcycle shows the project team paid close attention to who adventure riders are and how this bike was going to be used. Well, they’ve been doing this for more than 30 years, they know who we are. They invented this segment of the motorcycle industry. 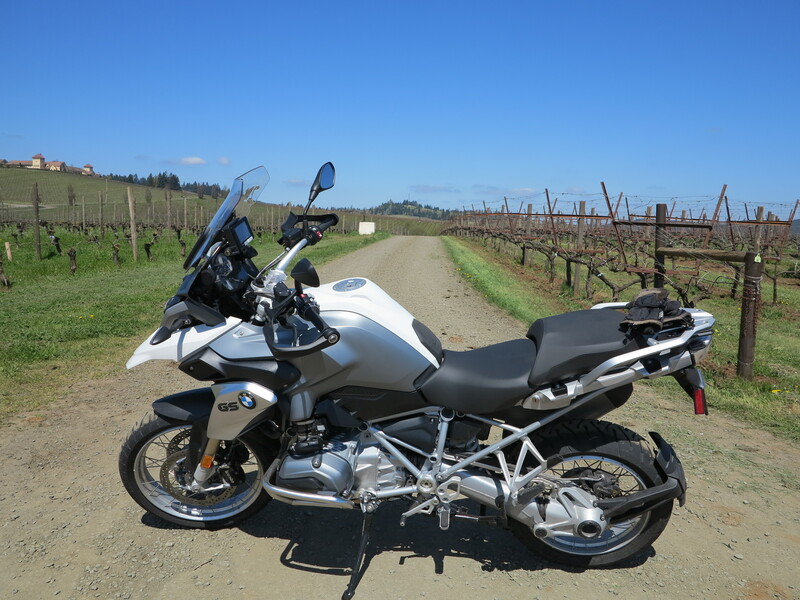 I had ridden the 2013 water-cooled model last year (see 2013 R1200GS report here), but that bike was a base model. This 2014 model had the fixings. I was especially looking forward to trying the Dynamic Electronic Suspension Adjustment (Dynamic ESA). 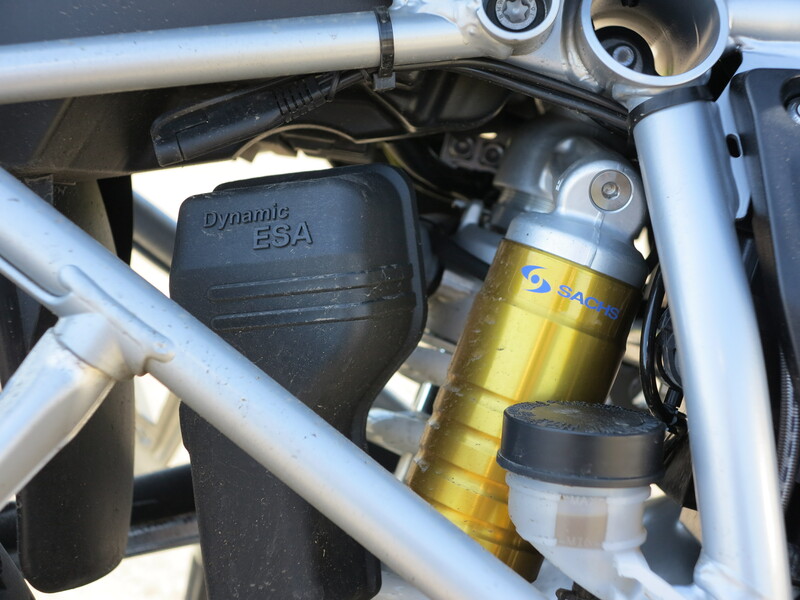 Dynamic ESA is not unlike what is available in the 2013-14 Ducati Multistrada and called Ducati Skyhook Suspension (DSS). Although there are differences on the way these two applications work on the BMW and the Ducati. More on that later. Besides the riding modes, this bike had heated grips, cruise control, the ability to turn ABS off with a switch (instead of a convoluted menu driven process like in my Triumph Tiger), and a wheel-shaped control that operates the GPS. 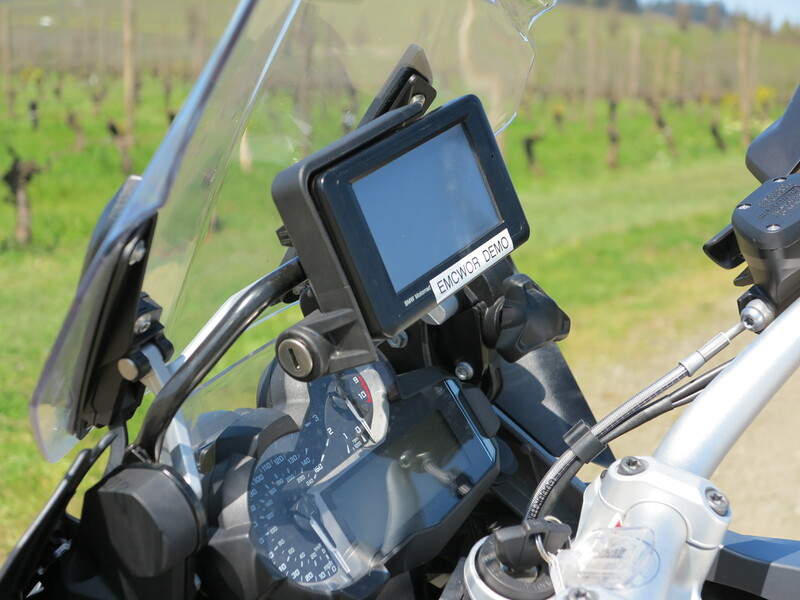 The bike comes set up for a GPS (Navigator IV base). It also has an ESA suspension adjustment (normal, soft, hard). This bike was equipped with the Garmin Navigator IV (Navigator V should already be available for sale). The position of the GPS is great in terms of eye-sight. It probably could be set up a bit higher up for me; as it was, it partially covered the tachometer. This bike comes with the spoke wheels option, a great asset for riding on rough roads. 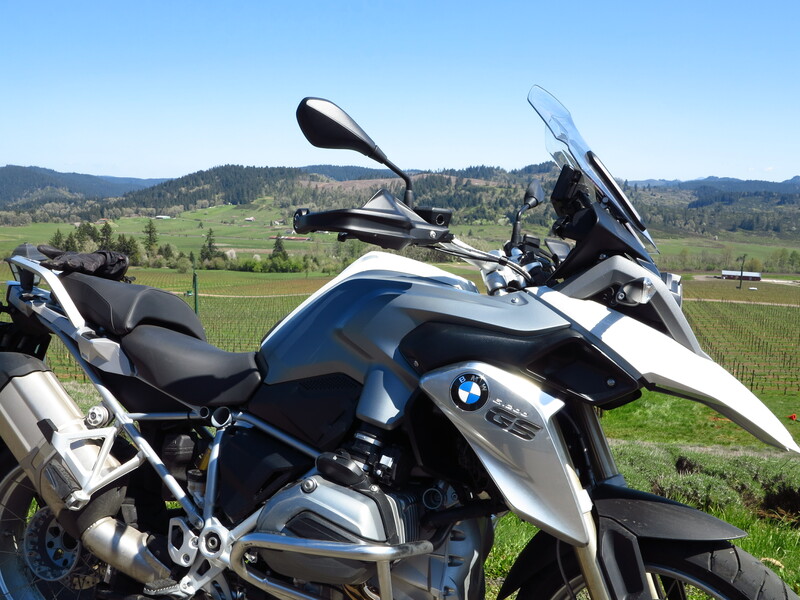 With these specs this 2014 BMW water-cooled came from the factory set up for what we call adventure riding. From show room floor to your dreamed adventure ride, nothing else needs to be done. That’s one of the reasons this bike remains top of the heap on the adventure corner. Another reason being how it performs on whatever terrain you define as adventure riding. And in the unlike scenario something goes wrong with the bike, you have BMW service and support basically on all corners of the world, including an unrivaled 3-year warranty. But not everything is perfect… you have to get used to that beak. If Bauhaus applies, form follows function, there must be a reason for this odd shape, right? Or not. I have not discovered that yet. And if you read my review of the 2013, there is the side stand issue. It hinges from farther ahead on the bike when compared to my other bikes. I have to make a conscious decision to move my foot forward to find the tab to deploy it each time I park the bike. But maybe all 1200GS bikes were like that? But it is all out of sight, out of mind when you get the bike going, you don’t see the beak, you don’t need the side stand. The red 2013 I tested last year was brand new. This white 2014 already had 750 miles on the clock when I took it out for a spin. This may explain why the motor of the 2014 felt more willing to rev than the 2013, although the 2013 was already an improvement over the 2012 and 2011 models I tested. First thing you notice is the typical BMW boxer exhaust note, but on these water-cooled bikes it sounds angry, goes well with the motor’s revised stance. Once in motion I immediately started playing with the settings. I settled with Dynamic for the ride mode (options are Dynamic, Road, Rain and Enduro — this model could be set with Enduro-Pro as well). And the suspension was set to normal (choices are Hard, Normal or Soft), with the pre-load at “rider without luggage” (other options are rider with passenger and/or luggage). Settings can be changed using a couple of buttons in a very intuitive way. And you can change settings on the go, I closed the throttle, with the clutch in, and changed settings. The riding mode takes a few seconds to take effect, and it is all very clearly displayed. On “Dynamic” mode the bike felt engaging, something I didn’t quite experience with the base model. The motor revved smoothly with a touch of aggressiveness. Not a Ducati, of course, but it is plenty good, it never felt underpowered when I called it to action. And like my previous ride with the 2013, it settles on a very nice touring mode at 4K RPM at 70MPH. At that combo you can cruise in comfort all day long. And from there the bike still has enough torque to accelerate without the need of a downshift. It is in the “Dynamic” mode that the bike feels more aggressive, and in that mode the fueling shows a bit of an on/off edge when coming off a start. Good for when you want to push it hard, but when coming to town or you’re tired and just want to take it easy, change it to “Rain” mode. In rain mode it is less engaging, in a Mr. Hyde and Dr. Jakyll way, the bike assumed a more compliant role, riding becomes effortless. I did not try the “Road” and the “Enduro” modes. But I can see use for the Rain mode, similar to my Urban mode in the Ducati. Great bike from all angles. If you don’t stare at the beak, that is. The bike felt always ready for action, it was a willing partner to whatever you throw at it, it seemed. A true rider’s motorcycle, or a comfortable and compliant tourer, it depends on your mood or with whom you’re riding. Unfortunately, once again I did not try it off pavement. But there is nothing there to make me think it would not work well on dirt and gravel roads. Overall, the bike felt really planted on the road and on all types of curves and pavement irregularities. The main change in the 2014 was the addition of a steering damper. I never felt the 2013 needed it, but I only rode it for 50 miles. There were reports where people noticed a head shake with the previous bike. In any case, if there was any issue there, the 2014’s steering damper should have solved it. Overall, I liked the bike with the semi-active suspension better than the “analog” base model I rode last year. I like technology, I enjoy the benefits of electronic assistance, so you should know there is a personal bias here. Both BMW and Ducati use Sachs technology for their semi-active suspension. However, the Dynamic ESA in the BMW felt softer than its DSS application on the Multistrada. It could be that the BMW is geared more for comfort on its three modes (Soft, Normal, and Hard) while Ducati may have dialed their application to a more sport oriented mode. Maybe there was more to the BMW settings then what I explored, perhaps I missed a few settings. Maybe I should take it for another spin. Yes, I need to do that. Maybe the shop should let me try it on a gravel road too. Right. I forgot to mention earlier: this bike comes with LED headlight lights. Having said that, the BMW felt solid at all times, and in my opinion, the Dynamic ESA felt more solid than the “analog” suspended base model I tested last year. I did not feel the Dynamic ESA was lacking anything compared to the Ducati DSS, and I actually wish the DSS had a setting where the suspension felt more comfortable and compliant on its softest setting for when I’m just touring. Overall, both BMW’s Dynamic ESA and Ducati’s DSS, in my opinion, are the way to go for large displacement motorcycles. For me, there is no looking back to analog suspension on these big bikes. Even KTM has joined this crowd! Looks good in front of the Starbucks or a Winery in the valley or on a dirt road somewhere. Talking about KTM, I’ve been trying to schedule a test ride on the 1190 Adventure. First the local dealer told me I needed a chaperone rider, and since they didn’t have the staff to do that, I could not ride it at that time. Strike 1. Then I checked with them and they say they sold their demo. Strike 2. I saw an Orange 1190 Adventure on the floor but it is not a demo and their demo allocation is done for this year. Strike 3. This situation reminds me of the Long Way Round when Charlie wanted a KTM, but KTM did not trust they would make it to Siberia, or the Road of Bones, and cancelled the offer to let them ride the 950 Adventure bikes for which Charlie lusted so much. BMW had been approached before by the duo and BMW knew they were second option, but no problems, they gave them the bikes and well… the rest is history. Which, as history itself tells us, it tends to repeat itself. What? So… would I buy it? The question is: would I buy the BMW? Like I said before when I tested the 2013 bike — if I were down to have only one bike, this bike would be a top contender for the job. I can say this with more conviction today than a couple of years ago with respect to the 1200GS: I really like the revised character of the boxer motor associated with the water-cooled changes; the Dynamic ESA hit the spot for me; and although it is fun to customize a bike for your travel needs, the BMW R1200GS remains one of the few bikes ready to ride, from the showroom to your dreamed journey to the end of the world without basically adding any accessory. If you are in the area, stop by at the European Motorcycles of Western Oregon (EMCWOR), take it for a ride and decide for yourself. 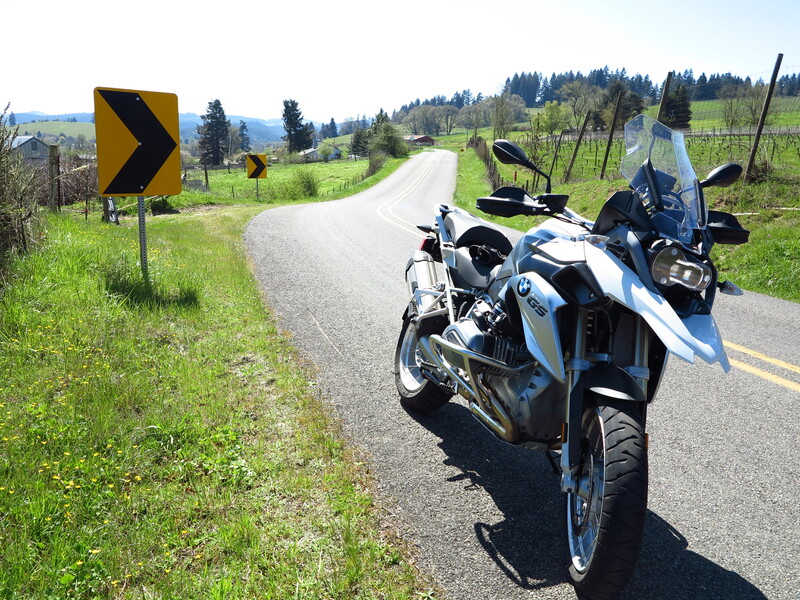 This entry was posted in Bike Reviews and tagged 2014 BMW R1200GS, R1200GS Water Cooled, Water Cooled. Bookmark the permalink. How comfortable are you with taking the MTS off-road? How “off-road” would you take it? I haven’t taken my Multistrada off road yet. On my last trip to the coast I saw a sign to the Old Stage Coach road. This is a road I’ve been on the past with my other bikes, it has a good chunk of miles with very smooth gravel and it crossed my mind taking it there. On another ride closer to home I went past another known to me gravel road, and the thought again crossed my mind. Maybe one of these days I will take it out on a hard packed gravel road. What I’m not looking for is to do a thorough clean up of the bike after I’m done riding it on dirt roads. Or damage those road oriented Pirelli Scorpion tires on rocks and gravel. Bottom line, I did not buy it for dirt riding, and I will try as much as possible to stay away from the gravel temptation. Having said that, I’m sure it will perform reasonably well on hard packed gravel or dirt roads. the multi can go off road. Ive had it on trail and ita just fine. There are a couple youtube videos of a guy doing some trails in colorado i believ, and he also did an alaska trip on a multi. Also, Scott Brady of expedition portal did a video review with the multi off road with just pirelli scorpion trail tires and it did just fine. Now guys are shoeing the tkc 80 knobbies on and going everywhere on ducatis. All of the aftermarket parts Scott encourages in his video are now available. Ive added quite a few pieces of armor to mine. If you “plan to ride dirt one day” id absolutely get the multi. By the time you hit a trail the multi cant handle with knobby tires, you have a trail that you dont want a 1200cc dual sport on to begin with. I was close between the multi and the gs. I opted for the multi. Better on road performance, more power, suspension is leagues ahead of the bmw especially in the adjustment category. 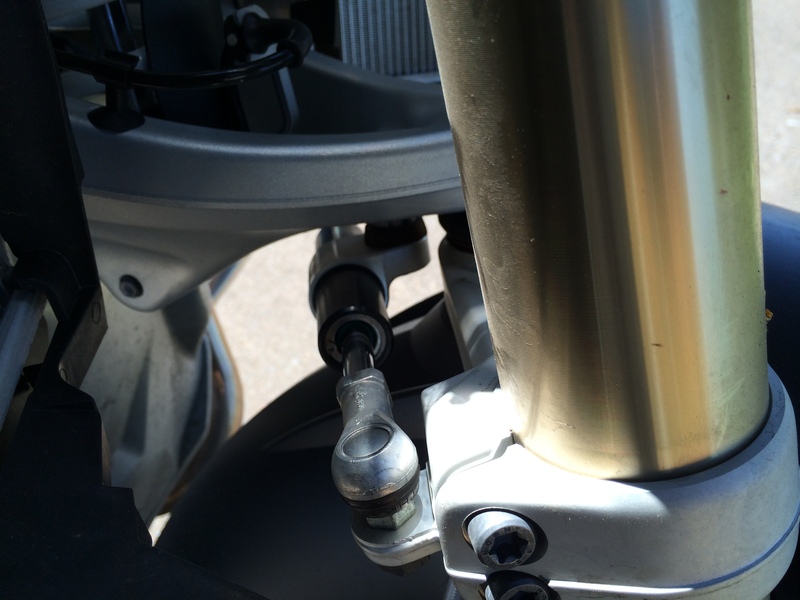 Also remember if you weigh over 200, you will need custom shock units on the bmw. They wind those coils for a 185lb average rider weight. I was 230 without gear, so my only options were either sending the shocks to a company in florida who would revalve and spring them for 2 grand or get custom touratech units for 4grand. Bmw made a point of reminding me they would no longer warranty the suspension afterwords. Ive loved my multi. Through twisties i have no problem outrunning most 1000cc sport bikes and being comfortable at the same time. Its a fantastic package. They are still sorting a couple items out on the new one, but 13 and 14 mts’ are good to go. Id say late production 2015’s will be fine. The r1200 is a fantastic bike. If i road 50/50 trails to road, i would have gone that route. But i dont. I do 90-95% on road, and the multi is king. Also, for people asking about touring two up for long periods of time, the mts and r12 are probably equal…..there are better bikes for that, like dedicated touring bikes…..
Entre vinte e vinte um mil. Emplacada. Reading through these replies. I;m looking for a new ride and ruled out the triumph based on how top heavy it felt, and the lack of techonology given its price/competitor options. That said, I am down to -and torn between- a Multistrada and a r1200gs. Seems like the r1200gs has some newer features that are a touch better integrated, and is better off road. 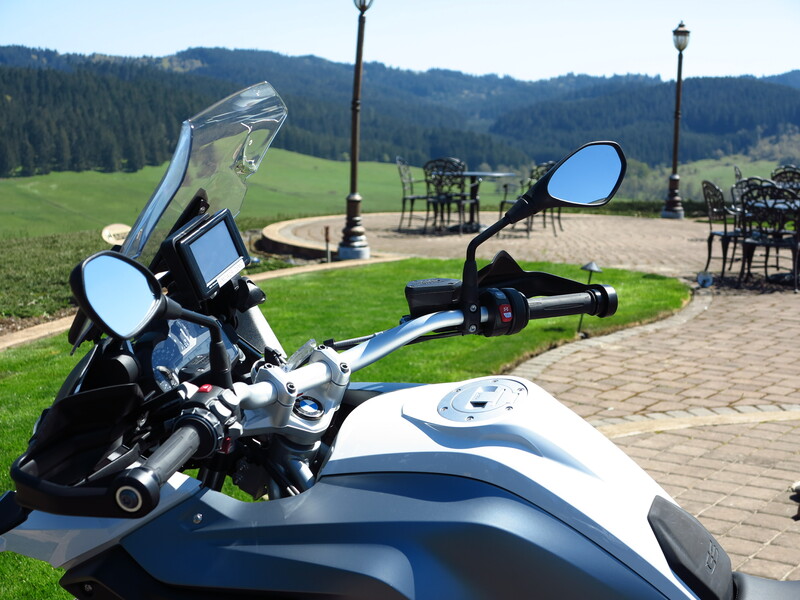 The multistrada is a better sport set up….plus, with cruise control available in the aftermarket easily, the 2013 multi doesn’t give up anything in touring to the r1200gs IMO. How has your 2013 MTS been reliability wise? Any issues to speak of? I heard of lots of problems with some of the early (2010-2011) models, but so far 2013-2013 MTS’s seem to be all accolades….. So, you could only have one. 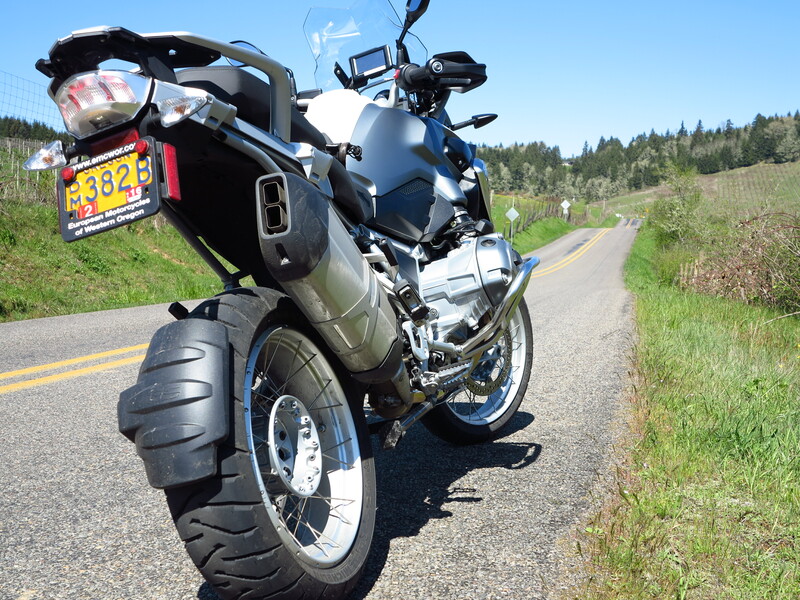 A fully optioned/luggaged Multistrada or the same in the R1200GS…which one an why? Well… if I have to have only one bike, and these two are the only two options I have, no questions I would get the BMW R1200GS, the 2015 with the latest updates (BMW has made important changes to the 2014 and the 2105 as well). Why? Because I love riding on dirt and gravel roads. The Multistrada is not a gravel and dirt machine. The BMW does fine on dirt and gravel. I would buy the one with spoke wheels, and all the electronics package you can get, including the Enduro package. Now, if I were only a street rider, though, I would pick the Multistrada, no questions about it. Why? Because it is unbeatable on the road. It simply is a lot of fun, especially when you start pushing it. Which means, if you are going to be cruising or touring only, maybe this bike is not your best choice. Having said that, both bikes are not exactly what you can call reliable machines. My Multistrada has been fine so far, but it is a more delicate machine than the BMW. It requires closer attention to the detail. And both bikes have more issues than Japanese bikes. Ultimately, what I always tell people is: if you are looking into a BMW or a Ducati, you are not buying based on which motorcycle is most efficient. The most efficient is a V-Strom or a Super Tenere. If you are buying a BMW or a Ducati you are buying based on your passion for the machine. Therefore, the only way to answer this question is to follow your heart, not your wallet. Ride them, if you haven’t yet, and make your mind based on how each of these bikes speak to you. Although on re-sale value, the BMW comes ahead of the Ducati. And ahead of the V-Strom and of the Super Tenere, and anything you put against it. So how’s that for a non-answer? Yeah thats absolutely not helpful! Just kidding. I do like both of them. They ride differently but both are fantastic. I’ve seen the multistrada do as hard a trail off road as I ever plan on doing, so that isn’t a huge concern. It really has come down to style and features. The Duc has a better engine and more power, is easily tunable with software and great sounding exhausts. the BMW is a little better interfaced for the rider. oh PS- you seem to be more in the know. What are the changes coming for the 2015 models of each? looks like the BMW gets some color changes, shift assist as an option, keyless as an option, and the heavier crank mass from the GSA (which will make it rev slower…not good for a road bike imo) Any other changes/fixes? Any word on multistrada updates? I don’t know any updates on the Multistrada yet. But the heavier flywheel on the GS would be a welcome addition. When I rode the 2014 on the “dynamic” mode, the fueling felt really abrupt coming from lower revs, and changing gears was tricky and clunky. When riding into town I changed to “rain” mode and everything, fueling and gear changes made sense as a good package. I believe the larger flywheel will smooth things out without too much compromise in the power of the more aggressive modes. I think you listed all changes for the R1200GS for 2015. There were changes from the 2013 to 2014 as well. I do think the 2015 should be the best water-cooled R1200GS yet. And I’m glad BMW has been reacting fast to problems. This is a change from the past, when we, the riders, were usually at fault… 🙂 That must be because the competition is finally making an impact. Good news for the consumer. Have you had a chance to use the Navigator V at all? Does it plot off road tracks/maps that you know of? Nope, I have not used Navigator V. But Dan Townsley from Globe Riders does excellent GPS reviews. Scroll down on this page I linked and you will see Dan’s review of the Nav V. I particularly like the features on the Nav V. But have not used it. 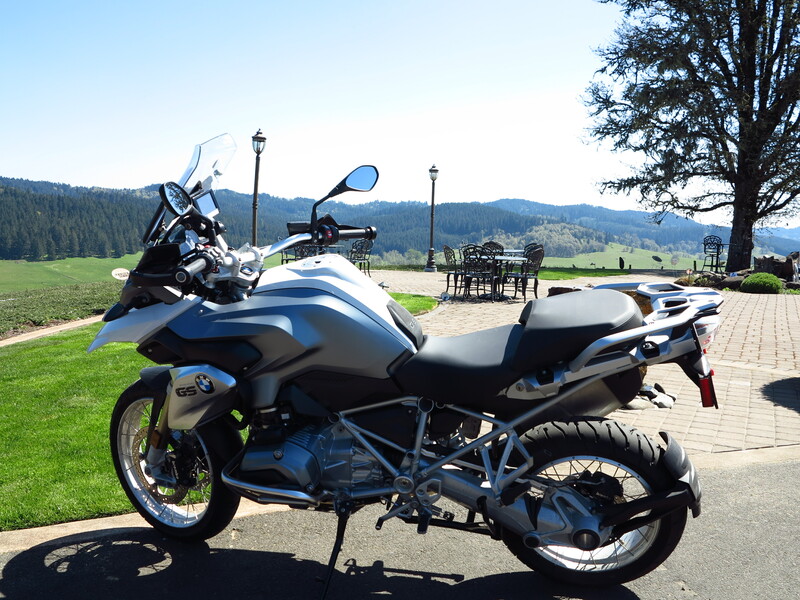 Did test rides on the R1200GS and the Multistrada touring S today. I have to say the Ducati is an absolute cruise missile. That thing really hauls the mail. I think the BMW was a better “over all” bike…controls were a little better integrated/refined and it was more roomy/comfortable. Man does it hide its weight well. Just a real joy to ride. The Multistrada was unquestionably a superior road bike. The suspension on the bmw was floaty until i switched the ESA to ‘hard’ and the dealer said there is no way to adjust rear preload baseline? That if i need more rear preload for my weight i have to either always ride at 1+luggage or get a custom spring? Is that right? The Multistrada’s suspension was, IMO way better sorted. It wasnt as roomy or as comfortable but absolutely handled better. Tough call. Ducati dealer has a pretty ripping deal on a Granturismo MTS right now which is hard to pass up. BMW said 2014’s are done, earliest I can get one is this october after the 2015’s start coming out. I’ve had 2 Hondas and 2 BMWs and only one has gone wrong, one time – my second Honda had an internal manufacturing defect relating to the clutch which left me stranded with a floppy clutch lever on day two (about 30 miles on the odometer)… oops. I don’t doubt that on a worldwide scale the Japanese makes are perhaps slightly more reliable overall compared to the Europeans, but on the other hand if you ever read the forums for any make of bike from any country, it’d put anyone off ever buying another bike! I’d say BMW top the charts for efficiency within their engine size categories – my first Honda was a 125cc which got about 80 mpg overall (in the city), my CB600FA averaged 42 mph (over an 800 mile trip), my F800GS averaged 60 mpg (over a 3,000 mile trip through the Alps) and my R1200GS averaged 50 mpg (over a 2,000 mile trip to Germany/Czech and back via France) – the latter two fully loaded 2-up with the brick-shaped panniers. I make no effort to conserve fuel on trips, I just go as I wish, so no hypermiling techniques or anything. The BMWs are at fairly lazy revs at the the 70mph motorway speed limit which no doubt contributes to economy (the Honda CB sat at around 6,500 rpm at 70mph). For reference the Super Ténéré 1200 is rated at 42 mpg out here and the new V-Strom 1000 at 49 mpg (rider alone in both instances). In your market all these numbers may differ of course due to slightly different emissions equipment and fuel composition. But in the end, as you mention, the best bike is the one you like the most! Yes, in the end, the best bike is the one you like the most. Some people make decisions about motorcycles based on spec sheets and their accountant. Motorcycles are a hobby to me, decisions are on the emotional side of the equation mostly and within a few parameters of reason only. It’s about the fun I get from them. I ride it off road routinely – the Anakee 3s are rubbish in the mud/sand but, combined with the electronics, they do better than they have any right to on wet/dry dirt or gravel… this is also the first bike I’ve ridden that stops better on dirt/gravel with the ABS switched on (in Enduro mode). To answer your question about the beak, it quite effectively prevents muddy water spinning off the front wheel from catching the airflow at speed and spraying you in the face. A trick to stiffening the suspension further is to choose the rider + luggage setting alongside hard dampening, but I find the single rider setting with soft or normal dampening the best match for our horrible UK roads – if memory serves, your roads are much better surfaced. 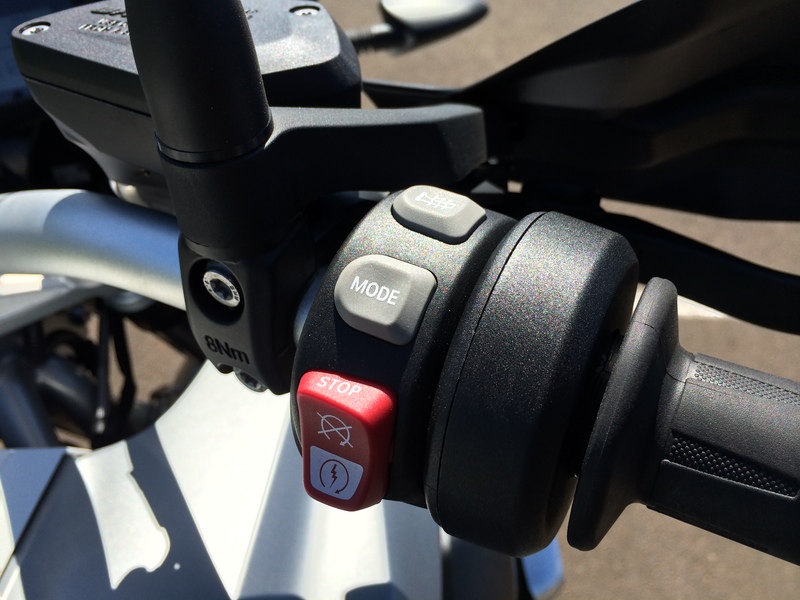 You can reduce the effort of changing riding modes on the go by selecting the new mode first, which gives you 5-7 seconds to pull the clutch and close the throttle – in practice you can change riding modes almost as fast as a gear change with this technique. I had the gear shift assist pro option retrofitted earlier this year when it became available and it truly transforms the bike, even off road, as the system enables up/downshifts to be performed without the clutch, and without interrupting the torque at the rear wheel. Combined with the slipper clutch and traction control, it works amazingly well for keeping speed under control on slippery descents off road. My only real complaint is the rather abrupt anti wheelie system – even in dynamic mode (which allows more altitude) it sharply reduces power which makes the front wheel abruptly come down. I would rather the system had softer intervention, floating the front wheel and gently putting it down. I certainly don’t ride like a hooligan (my last traffic fine was in 1997! ), but the bike lifts the front wheel very easily, accompanied by the yellow traction control flashing like a schoolteacher’s wagging finger. 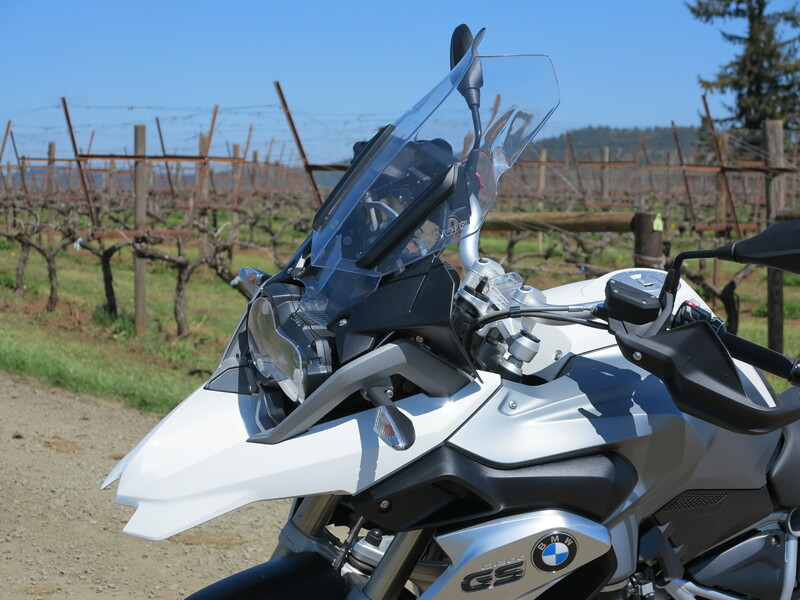 Agree also – if I had to choose only one bike, this would be it… That said, for commuting I find myself reaching for my F800GS more often, as the softer and taller suspension, lower power (you can ride it at 90% far more often! ), larger front wheel and narrower chassis make it an absolute yob in the city (and the taller handlebars are higher than the wing mirrors on most cars when filtering through traffic). Thank you for your contribution. And I will edit the ESA caption on the picture, thanks for that also! Hey! 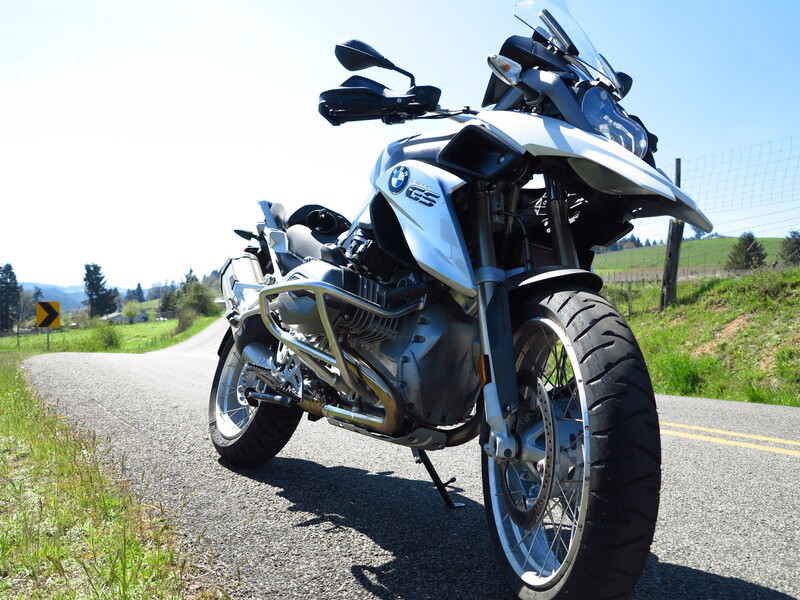 Just an update….Took the MTS GT out on a test ride back to back with the new R1200gs. Ended up going with the MTS. A few reasons: The performance of the multistrada couldn’t be matched by the GS. The other big reason was that the ESA suspension is a moot accessory if you are over 185lb. BMW winds the coils for a 185lb max rider weight and there is no way to adjust preload to properly set sag unless you spend $2,000 on custom coils or $4,000 on custom suspension units (like touratech). BMW dealer told me at my weight to just always ride with it at “rider + luggage” and go to “2 up” mode if i added luggage on. Not the kind of answer I wanted on a $25k bike. The MTS can be adjusted for preload front and rear, has a much wider range of damping adjustability, and the suspension just flat out worked better as did the ride modes. Now that I have a few hundred miles on the bike, the gearbox has smoothed out considerably. I also didnt feel the 19″ front wheel was worth it for my riding. Any trail that would require a 19″ front wheel is the kind of trail I don’t want a ~500lb bike on….and anything short of that, the MTS can handle just fine. Still, what the MTS has over the GS is performance, it lacks in integration (cruise/GPS). I’m adding a navihalter mount and tuneboy cruise to round that out. Great choice Kurt! As you know, I’ve been on that route myself. My choice for the BMW would continue for when I have to have only one bike, though – I really like a bike that can do ride off-pavement. But the Multistrada is an excellent bike, and I really enjoy riding mine. the mts is a great all road bike….. its perfect for “bad roads” of all variety, where the GS does better as an “off road/light trail” bike. I think when i get stationed in Africa in a few years, I will do a custom coiled GS or GSA with TKC 80’s. Sounds like a great plan to me! And for your sake I hope it won’t be in west Africa and if there, that this current Ebola crisis will have been contained by that time. After 10 years of riding a Ducati 999 I traded it in for the water cooled, 2014 R1200GS Adventure. A few weeks prior to that, I did a 600-mile ride with some friends who were on Goldwings (all on-road) and, because I still had the 999, I rented a 2011 R1200GS. That sold me on the BMW. I recently had a Multistrada for the day as a loaner bike while my GSA was in for routine service. I have not been on the KTM or the Triumph except for sitting on them in the showroom. The GSA is AMAZING off-road. Here in Arizona, we have a lot of spectacular Forest Service dirt roads, so being able to ride off-pavement is important. These roads can be beautiful, hard-packed, smooth, graded dirt or washed out, deep sand, rutted, jagged-rock-infested nightmares depending on recent rainfall and maintenance. I got dragged out on some of the ugly stuff my first weekend with the bike and despite my total lack of off-road experience, I was deeply impressed with the bike. It gave me a lot of conficence – maybe too much. I ultimately got exhausted, lost focus and dumped it a few times, but that was me, not the bike and the bike took it like a champ. For such a huge beast, it was remarkably forgiving and nimble. Even on the “street” tires (not the knobbies), it was surprisingly planted. Only in deep sand and sandy rutted areas did I really struggle and knobbies may have helped. I would say that engine guards are a MUST accessory and the stock skid plate is a bit laughable if you really get into some rocks. For street or graded fire roads, it shouldn’t matter much. On one of my big “offs” I did end up striking a rock with the valve cover, puncturing it and causing a substantial oil leak. My riding companion patched it with JB Weld and, after bending the brake pedal back into position, we managed to limp it out of the back country where we found a rancher who gave me a quart of oil (totally not the right oil for the bike, but better than nothing). I put another quart in it at the next town (30 miles or so) – again, totally the wrong oil and not even the same as the rancher gave me. The bike made it another 100+ miles home and never complained. Interestingly, the seemingly fragile auxiliary lights were unharmed despite many easy drops and a couple of big offs. They are set just right in the crash bars and were totally untouched, through multiple drops, even in the deeper sand. The brake and clutch pedals are nice steel, instead of aluminum, so when they bend, you can just bend them back into shape and ride on. I bent the brake lever well past 90 degrees and it went right back into place with a little persuasion from a ratchet handle. No ill effects at all from that. The suspension and the spoke wheels are seemingly indestructible. My inelegant riding surely abused them beyond what a better rider would have done and there were no ill effects. Even quads and true dirt bikes were having trouble on this “road” but the big beast held its own as long as I did my part. 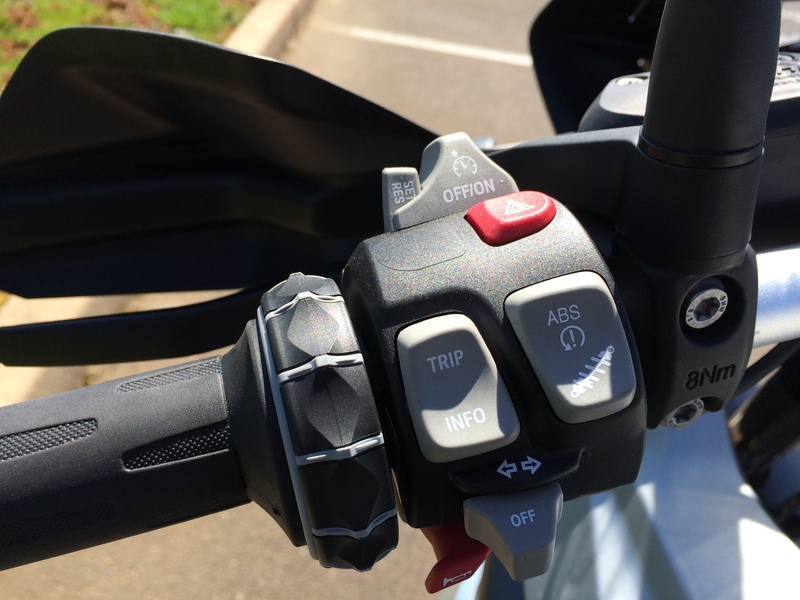 Unlike previous GS models, the instructions now call for leaving the bike in one of its modes rather than shutting off the ABS and ESC manually. Enduro mode greatly reduces the amount of intervention from the ABS and ESC (while still leaving you a little safety net) and Enduro Pro shuts it all off completely, leaving you to your own devices with no net. Enduro is supposedly aimed at good, graded dirt roads ridden with the street tires or something similar. The owner’s manual recommends Going to Enduro Pro (which has to be enabled with a hardware fob that comes with the bike but not installed) for technical terrain with knobby tires. The dealership will install it for you at the 600-mile break-in service (which is just a change of both the engine oil and the final drive oil (in the drive shaft housing). Riding around town on it is a dream. It’s sporty and responsive in Dynamic mode with the suspension set to stiff. The boxer motor puts the center of mass so low that it feels much lighter than it is and inspires tremendous confidence in the sharp, first-gear mountain curves and when maneuvering at very slow speeds (e.g., parking lots and stop lights). At times, I almost believe that I could leave the side stand up and just get off the bike and it might not fall over unless there was a breeze. I exaggerate, of course, but that’s how it feels. 2-up riding is effortless if you set the suspension mode accordingly. The lower weight distribution is obvious, even just sitting on the BMWs in the showroom. Sit on the Triumph and the on the BMW and there is no denying that the Triumph feels more top heavy. My wife sat on a 650 Sertao, the F700, F800 and then the R1200GS. She complained that the first three all felt too heavy. Then she sat on the 1200 and said that she preferred this lighter bike. I could not convince her that the 1200 was MUCH heavier than the others. I’m a big Ducati fan, but the Multistrada did not impress me as much as I hoped it would. It’s not really an off-road bike, though it has an “enduro” mode. It felt much smaller and sportier than the BMW (because it is) and it was a blast to rip around town. It really felt like a Monster with a taller wind screen and panniers. The really hard-core off-road guys who want a big adventure-touring bike but plan to spend the majority of time in the dirt tend to favor the KTM. Every review I have read says that the KTM is head and shoulders better than anything else when it comes to hard, technical, off-road riding but it is not as great as the BMW on the pavement. The BMW is at its best when pavement touring and doing less technical off-road riding (fire roads, gravel roads, etc.). The Multistrada is really a sport tourer. The new Yamaha Tenere gets excellent reviews but I have not even seen one in person. My only gripe is the very tall height of the GSA. They make it in a low suspension model now, as they have done on the GS for several years, but you give up quite a bit in the suspension for that. I can’t stand flat-footed over it – more like on the balls of my feet with the seat in the lower position. I may have to switch to a”Low” or “Extra Low” seat from Touratech to try to bring me down another inch or so. I have about a 31-32″ inseam. On a less stable bike this might be uncomfortable, but it has not been a huge issue yet, even riding 2-up. Hope this long rant fills in a few blanks for anyone looking to buy. Nothing like a first hand account. We especially thank you for enhancing this review with the description of your off-road experience, something we have not done with this bike in our review. I am in San Diego and have a tremendous amount of fun cleaning the clocks of the crotch rockets who go fast and then in the corners the BMW is soooo much better. Only down fall is the GPS, obviously not designed by a bike rider, can’t put routes from highway to highway, road to road etc. HUGE mistake. it thinks all BMW riders are into pizza delivery, and only operates on address’s and street intersections. Thank you all for your insight and info about this beautiful beast. Yeah, I considered the Duck a while ago, but never really seriously. It’s got too much power for my skill level. I did however look at all the other ADV bikes out there and all have their strong and weak points, I think the GSA just has it all figured out. No matter where you seek your adventure, on road or off, it will get you there. So, all I had to do then was to follow my German heart and buy one. I ordered mine about a month ago and supposed to get it in March or so. Although the wait is killing me I decided to spend my time riding my trusty trumpet and planning new trips. I also had the pleasure of taking an oil cooled 1200 RT through Sardinia, Corsica and Tuscany last year and must say, I was just flabbergasted by the performance and handling of the bike. Riding one up or two up, it didn’t really matter; the bike performed no matter how much I threw at it. Evan’s honest review really made me feel better about my purchase, especially since I have been reading a lot about the unreliability of BMW motorcycles lately and the leaking final drive issues of the R series bikes. Hopefully those issues were addressed with the re-design of the model. One thing I can say about all motorcycles, though: if it has moving parts, it can break (and most probably will). Having said that, I am convinced I made the right decision. Greetings everyone! I’ve enjoyed reading your threads on here. I’m currently trying to decide between the BMW R1200 GS, the R1200 Adventure and the Multistrada. I enjoy taking long trips and now I’ll be riding two up. I’d like to eventually take the bike off road, but I don’t live anywhere where I can do that right now. I love the power and handling of the Multi, but the BMW isn’t a turtle either. Is the Multi roomy enough for two on a long trip? I feel like I’m at the point where the deciding factor will be the price difference between the BMW and the Duc. Is the BMW Adventure practical for riding around town, or is it too big? Adventure vs GS? I hope someone will be able to shed some light on my many questions and indecisiveness. 🙂 Thanks! I currently own a 2014 GS 12 that I have ridden on local Northern Ca dirt roads along with two trips to Moab. The bike is big but very versatile, sort of like a four door jeep wrangler. With the vario bags installed it makes a great long distance touring bike solo or two up. I have also owned a KTM 990 Adventure that I rode extensively off road in Death Valley and throughout the Sierras. Most recently I have ridden my friends new 1190 KTM Adventure R. All of that said, in my opinion any of the KTMs are best for solo riding off road. Biggest drawback for me is they are very tall ( I am 5’9″) which is not a problem until you need to dab while creek crossing or navigating slow technical off road terrain. A limiting factor for all of these bikes is tires. If you set them up for effective off road, the tires wear fast on the street, and of course if you compromise with street tires they don’t work well off road. In terms of reliability, other than flat tires from nails I have had no mechanical issues with any of my bikes except a Suzuki V Strom. I never considered a Ducati because the closest dealer to me is over 100 miles away and I question their maintenance demands and expense. The final consideration is after market support. KTM and BMW have vast product development supported throughout the industry. Several folks have posted “reliability concerns” with BMW. I would like to know what they are. My experience with the bikes goes back to my first BMW (1990 K 75s) never had a problem with it. The Suzuki V Strom 650 i purchased new, required a three month shop stay at 3,000. miles to tear down the motor to repair an oil leak due to a factory defect (covered by warranty). After the repair, I sold the bike and bought a KTM. Bikes have become so task specific you really need at least two, or as many as you can afford and stuff in the garage. Hi There, I just bought a R1200GS, with all the fruit!! Its my first BMW bike, and I absolutely love it! Only had it a week, and have done 1300klms ( 800 miles ) already. However I noticed it has mechanical noise emanating from the front ( up into my helmet , magnified by the cowlings? ) at low speed ( cant hear it at higher speeds…too much wind noise etc ) Sounds like noisy/rattly clutch or even noisy timing belt. Also some whining from the rear ( diff ) – Anyone had such “complaints” – I dont think its anything bad, but somewhat annoying when “tootling” thru town at 60kph or less. Hi David, I never heard any such noises when riding BMW’s. But maybe I have not paid attention to such noises. Now, I can tell you about an annoying valve clatter on my 800XC… 🙂 Back to your question, I hope it is just you singling out normal noises from the BMW motor. thanks for your reply. I don’t think its anything to worry about, and maybe you are right, just “normal” BMW noises. Maybe I need an Akropovic or Arrow pipe to make the bike “louder” and drown out other noises..haha…anyway I listened to it with the bike stationery ( without helmet ) and no such noises. I think its just resonating “under” my helmet and perhaps amplified by the plastic panels etc (?) Anyway I have it booked in for its 1st service on Thursday, so will check it out. Please keep us posted! I think it is how you say, just how sounds travel. It could be because the windshield works so well. It’s the cooling system. For me it is aggravating and unnecessary on such a sophisticated and an expensive bike – seriously thought about taking mine back and trading for a late air-cooled but by then I’d become used to the electronic suspension settings and the integrated nav. Mine’s one of the first though, wonder if it has improved on the newer 2014 or 15 models ? I have a 2011 MTS with 27,500 miles. Last week the gears jammed and locked in 4th gear in the middle of Idaho. The bike is still fun in 4th gear in those awesome twisties, but it was a one gear 250 mile ride to the nearest dealer that got me thinking. The bike is now 500 miles from home and I’m waiting for the engine to be opened up to see what the problem is. I passionately love this bike, but a problem like this compromises my confidence. And so I am considering switching teams to the WC 1200GS. I did a short test ride last year and was impressed with the power, torque and handling compared to earlier models. (and the better windshield, duke folks know this one) However, I’m concerned that I might lose that exciting power and control in the twisties that so makes the Ducati awesome. On the other hand, that bike begs to be ridden aggressively, and at 65 years of age, I’m thinking I need to moderate my adrenaline impulses. Of those of you who switched, can you tell me if you feel you’ve lost that MTS edge, and if you miss or regret it. BTW, I agree with many of the comments, it’s not about the better bike, they are both better, it’s just about that Ducati something. Hal, keep us apprised of what the techs tell you. I, too, have a 2011 MTS (with 37.5K miles), but have not suffered a gear jam as you’ve described. And good luck getting it resolved! All Ducati parts must come from Italy. Most Italians are on holiday for the month of August. The Dealer was swamped too, which doesn’t help. BTW how do folks feel about Duc-Audi being affected by VW-Audi diesel scandal? Ethical company? Not to be snarky, but that is the first time Ive heard of that issue on the MTS. A quick trip over to ADV rider reveals pages upon pages upon pages of problems plaguing the r1200. Of all different kinds from final drives, to electric issues of all different sorts, to engine knocking, the whole 9 yards…….I dunno. I’d go ride the new MTS if you consider a switch. Audi ownership has done tremendous things for the fit and finish of the brand, and they made it more of an off road bike without making it less of a street bike. Still, the r1200 is popular for a reason, there is no denying it has great appeal when ridden. I still look at them quite lustfully. Turns out the spring inside the engine that connects the shift arm broke. Lots of trouble for a piece of scrap metal. Test rode a 2015 WC 1200r this week. No question a fantastic bike. Awesome geometry in the corners, sweepers and hairpins. Plenty of kick, comfie. I’d probably grow to love it, but I just felt I’d be having more fun on the Italian mistress. There’s nothing practical about owning a motorcycle, other than avoiding limping into service centres hundreds of miles from home. Still debating whether I will switch or not. To quote Eagle Rider on Ducati.ms: “In terms of ownership experience, it’s the ‘little’ things that pile up and wear you down, especially if they can never seem to get fixed permanently. Last month I used the German Autobahns during a trip and it was excellent but, the only thing I did not like was the noise, noticed more when cracked open the visor to clear mist. I actually thought it was air induction but reading a few threads it might have been the tyres ( Anakees ) It was torrential rain for 1100 kms and the bike did not miss a beat I just kept it in Dymamic and Hammered down the road Frankfurt to Bordeaux 10hrs non stop except fuel / fags and phonecalls to wife lying about the weather and no discomfort, really happy with bike. Hi Cesar, well now after 10,000klms of travel I can say I love the BMW more and more…it is awesome. The “noise” from the front is definitely the Michelin Anakee tyres…I have now changed to Metzeler Tourance Next and the noise has gone. Much happier. Guys- help needed. I`ve just took delivery of a new LC1200GSA after having the older 1200gsa. I`ve got really bad front end noise problems coming up through the head stock area and tried the following: adjusting screen, dipping the clutch at speed trying to isolate possible engine noise but it`s still there. My mate rides a standard LC1200GS and does n`t report any major concerns and it`s on Michelin Anakee tyres. Does the shape of panels and gaps under the screens affect my problem? Likely it is not engine noise if when pulling the clutch and RPMs go down and noise is still there. Does it change with speed? If so wind or tire are potential sources perhaps? Have you checked air pressure on front tire? Some new tires are noisier than others, it could eventually go away. David was right, it`s the Anakee tyres giving me the headache. I rode a 1200 GS with the same tyres today and that`s got the same trouble. BMW sent me a customer satisfaction survey, so there`s my chance to give constructive feedback. We`ve also got the UK bike show at Birmingham in November and I know the Motorrad technical manager, so again, feedback will be given. Ian, if you read my post above you will see I had same issues. Its definitely the Anakees – I changed to Metzeler Tourance Next tyres and the noise has gone. 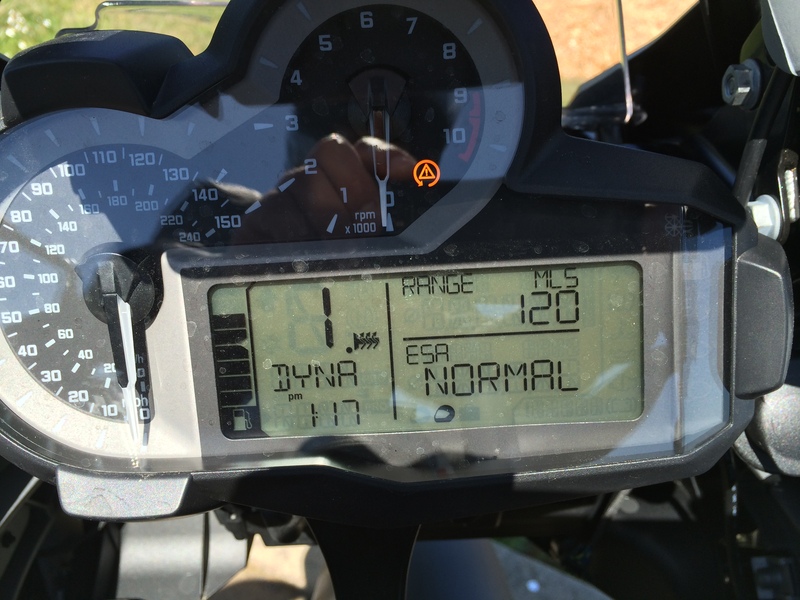 The noise got worse on my bike ( 2015 1200GS ) when the tyres wore down ( I changed them at 10,000klms ). I spoke with other GS owners and it would appear many either don’t hear the noise or dont get it, but many do. To be honest I think many riders do not “understand” the noise and therefore don’t “hear” it – Its also ONLY on road surfaces and depending on the surface, the noise changes pitch and intensity!! After I put on the Tourances, honestly it transformed the bike – a real pleasure to ride now. The noise on the Anankees was driving me crazy!! There is “mechanical” noise still which I believe comes from the clutch ( remember, the new design motor has the clutch at the front of the motor now, so it will be accentuated ) but its not a major issue for me, certainly compared to the Anakees. The Tourances are more road based, but thats what I wanted, so if you need 50/50 road/dirt, then perhaps the Tourances are not the right choice. Its a pity about the noise of the Anakees as I quite liked their feel, and handling capabilities. Hope this helps. Your right! My mate`s got a LC GS1200 with Anakees on 6,000 miles; we changed bikes last night on a ride out and I got the same noise from the front end. My mate rode my GSA and thought the noise was slightly worse on mine. Metzelers here we come! Check out http://www.adventurebikeriderIC-google+ using Google Chrome. I returned from a trip from Holland -Bordeaux July 16 and have discovered the reason for the Anakee III noise problem. I noticed the yellow light came on when the tyres were cold and showed 1.9 bar in tyres but when tyres warmed up the light went off. At this point the noise was horrendous so I stopped and raised the tyre pressures to 2.6 bar which I confirmed with the Sat Nav 5. Voila the noise has gone. I have mentioned noise problem in this site before. R1200GS LC Front end howling gone 2.55 bar confirmed by Nav 5 on bike front and rear. med. Annakee III tyres where at 1.9Bar. Its hard to believe the differance. The howling or wailing from the front end of my 2016 R1200GS has and still is driving me mad. This is my second, the first had cast wheels with the large holes in the large front hubs. I became convinced that it was this that caused the noise. I road it to Austria and back thinking I would get used to the sound. I sold it (3000 miles at great loss) and bought a 2015 Honda Cross Runner (no silly noise and lovely gear box). However I eventually missed not having a GS and bought a spoked wheel model. Still the same annoying front end noise. Am I stupid or what? I was determined to sort it. I have run the bike down hill without the engine running. I have had the front wheel in the air spinning fast with an electric motor. I have put masking tape all over the leading edges of the fairing. I have covered the front in cling film. I have changed the Anakee front tyre for a Road Pilot 4. NO CHANGE! Does the adventure model suffer in the same way? I will have a test ride and see. I hear that the 2017 models come with changes including gear box improvements. I seem to have heard that many times before over the years. I have owned 11 boxers engined RTs or GSs and haven’t noticed that much change. Dealers I have approached have not heard about this problem. Don’t you think that really is amazing. Someone must know the answer to this problem. BMW must. Do 2017 models have the answer? I had the same problem on a 2015 model GSA. Got the “umm never had that reported problem” from BMW. I`ve put the bike on Metzler and the problem`s gone……it`s the Anakee tyres. I had a guy from Australia blog me and gave the same answer. Thank you Ian. The general opinion was that the problem was the Anakee and I read on chat site that the Michelin road pilot would solve the problem. So I had one fitted with no change. I now have an Anakee that has 2000 mile use and a Road Pilot with 500 miles use. Which Metzler have you found successful? Incidentally I test rode an adventure model yesterday to see if the different fairing made any difference. No it didn’t but I didn’t think to check the tyre type. I ran off the Michelin and asked the BMW dealership to fit Metzler Tourance Next on front and rear wheels…… “absolutely no problem sir”! For me, the difference was astounding, the noise before was unbearable from speeds above 25 mph or so. I think all the new bikes are still coming with Michelin tyres, someone at BMW wants their backsides kicking for signing that deal. Bin the Michelin`s asap and you`ll be a happier chap. I stumbled on John Thurman’s comments and have exactly the same howling noise issue on a GSA – I have a 2016 1200 GSA, and have the same howling wind with brand new Pilot 4’s on the front and the back. Getting rid of Anakee tyres helps but is not this issue. I had an hour and a half with a BMW dealer mechanic and tried another GSA LC which had exactly the same noise between about 25-50mph. It isn’t related to the windshield (I have a Wunderlich screen, but it makes the same noise with it off or on. My bike has wire wheels, the other one had mag wheels – that isn’t the issue. I thought it was only a GSA LC that did it as I have had a 1150GSA & 1200GSA (2010) air cooled with no issue. I have ridden non adventure GS LCs with no noise. I wonder if you have something from an adventure bolted on that causes the noise? As I mentioned I have ridden my ’16 GSA and the dealer ’16 GSA with the same noise exactly. However I haven’t heard it on a normal GS. I always thought it was the sound originated from the front tire and which is amplified by the spaces that manage the air under the dash and through the telelever area. That’s the feeling I got when I rode it. Like an echo chamber of sorts. If the source is the tires (or all other items you ruled out), I would start working on different components in that area, using tape to change their shape , because something may be deflecting, resonating with rushed wind and making these sounds. In other words, I still think there is a sort of echo chamber somewhere there which is amplifying specific sounds. If not the tire, something else is causing it when wind rushes by. Only one BMW dealer out of four would acknowledge the noise we complain about. He said it is the new eight plate clutch that is responsible? I was sort of following a logical path of “if the only bikes I have heard this noise are two LC GSAs, and I can hear it at 30mph with the engine switched off, it has to be wind noise related and it has to be something on an LC GSA that isn’t on an LC GS”. However, if some GSs make the noise too, I am back to square one on the logical solution approach. Or looking for kit that is on the GS which is sometimes on a GSA. I wouldn’t have thought it could be clutch plates unless they move when you are at speed but in neutral with the engine off? As cesardagord says, I will have another look at taping things up again. Earplugs would be the quick solution, but where would be the fun in that? Most problems are simple when it comes down to it. The search will continue – all thoughts gratefully received!